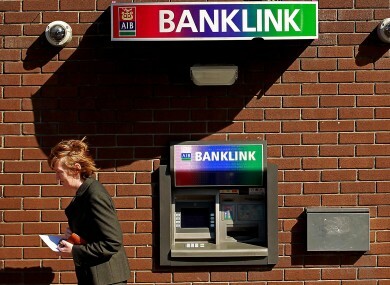 BRENDAN HOWLIN HAS urged the Government to stop its partial sell-off of AIB until it can guarantee that the cash will be invested in Irish infrastructure. The Labour leader said that assurances must be sought that the money will be used to pay for new homes, schools and hospitals. Michael Noonan recently informed the Dáil that “the sale of any shareholding in any of the banks would not count as general government revenue. Therefore, there is not generally any increased capacity to spend as a result of the sale of shares without affecting the general government balance”. Speaking today, Brendan Howlin said he has been making the case for changes to the stability and growth pact in order to allow for greater investment in public infrastructure. He said: “Unfortunately, our Government has so far utterly failed to push this idea at a European level. The result is that none of the proceeds from any sale of AIB can be invested into building houses, hospitals or schools. Minister Noonan has been updating the Oireachtas on the sale of 25% stake in AIB. He said that the government should have the opportunity “to sell some of the State’s shareholding in AIB during 2017 or indeed early 2018″. Email “Brendan Howlin has called for the sale of AIB to be put on hold ”. Feedback on “Brendan Howlin has called for the sale of AIB to be put on hold ”.